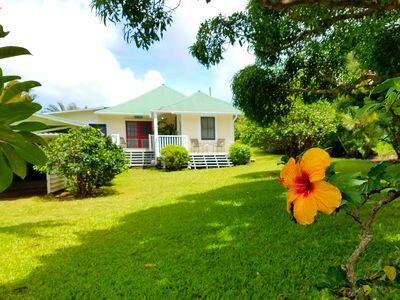 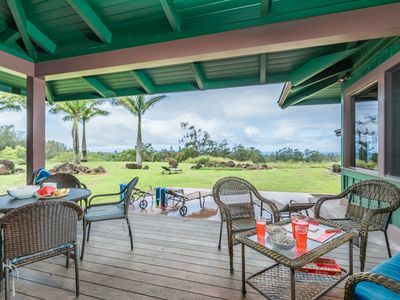 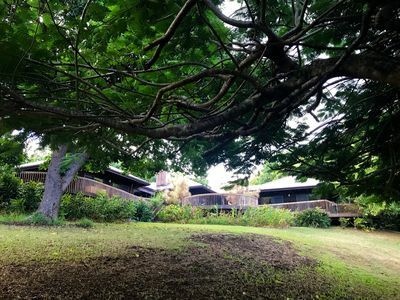 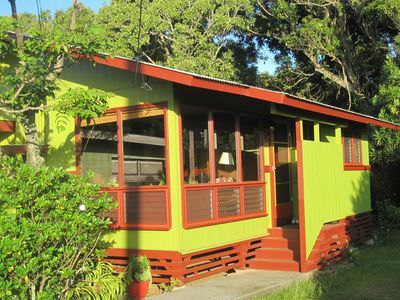 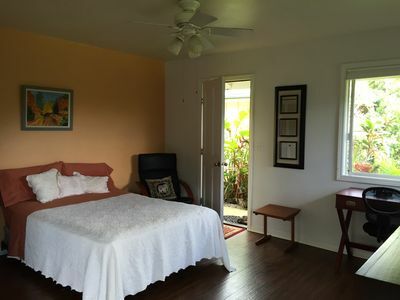 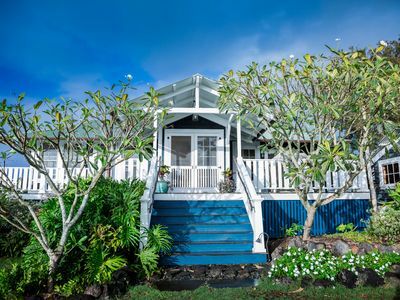 Executive Suite for the price of a studio * Enjoy the spirit of aloha in this private setting with fruit orchard and gorgeous ornamental and edible gardens. 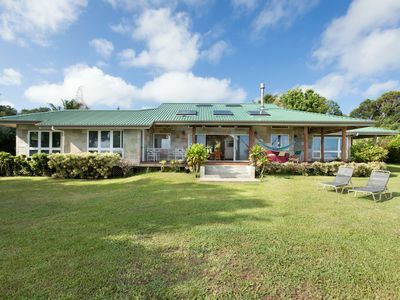 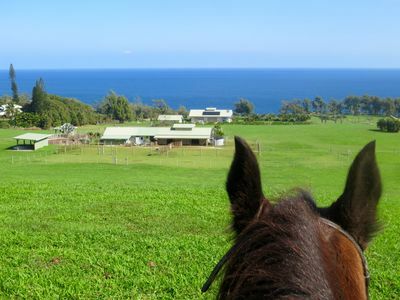 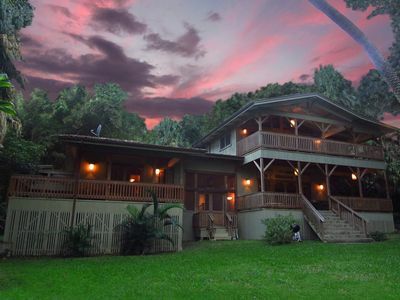 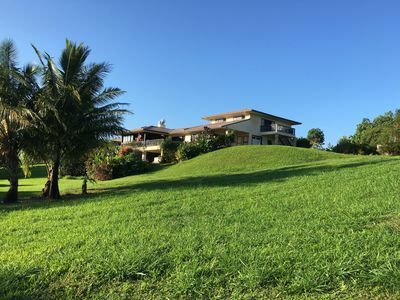 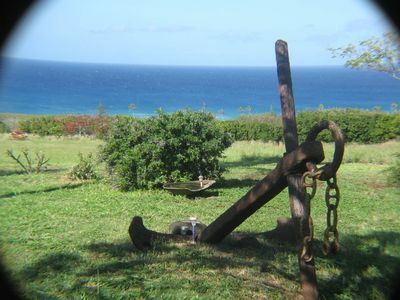 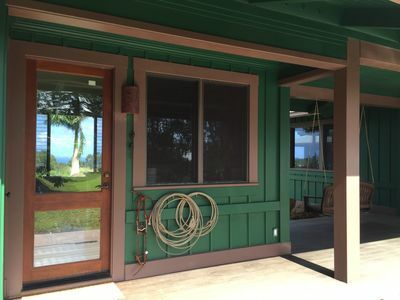 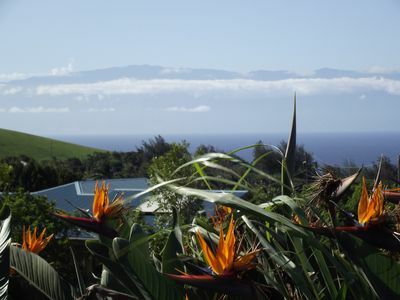 The property is stunning offering magnificent views of the ocean and the nearby island of Maui and lovely sunsets from the Zen Pond. 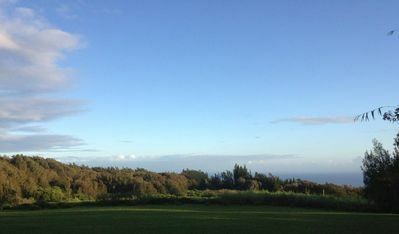 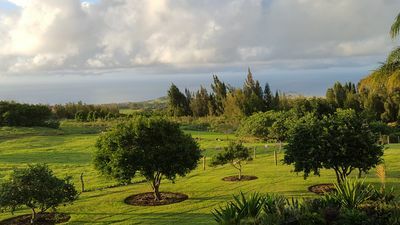 The view from the bedroom; gardens, rolling hills down to the sea with Maui in the distance. 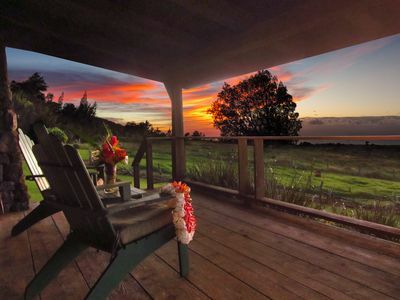 At night, enjoy the heavenly skies, by day beautiful scenery. 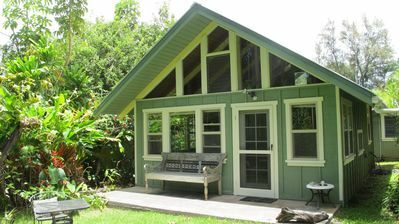 Accommodations include an oversized bedroom, king bed, private bath and there is a delightful courtyard, BBQ Area. 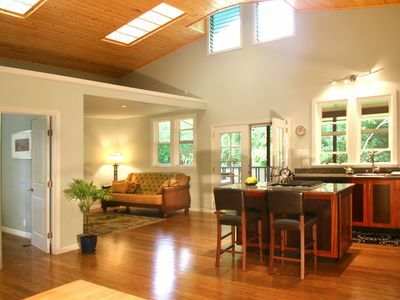 We converted our double garage, into a spacious, lovely kitchenette, and living area with a library. 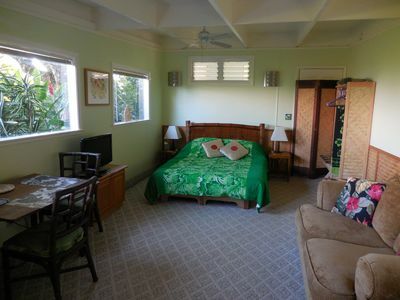 The Hula sitting room is adjacent to the accommodations. 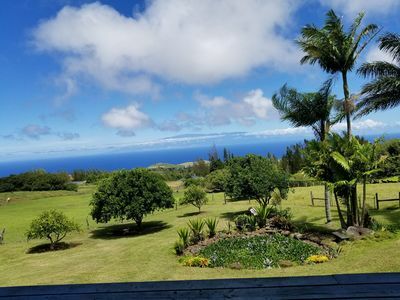 Garden setting, and outstanding views on the property.